Provides pioneering innovations like the CMOS Technology, ColoAssist II and the Double-Balloon-­Endoscopy making endoscopy even safer and more straight-forward. As a complete solutions provider, Fujifilm is a one-stop shop for high-performance endoscopy and endosonography:top-­of-­the-­range processors, endoscopes with the highest level of user comfort and unique examination methods. 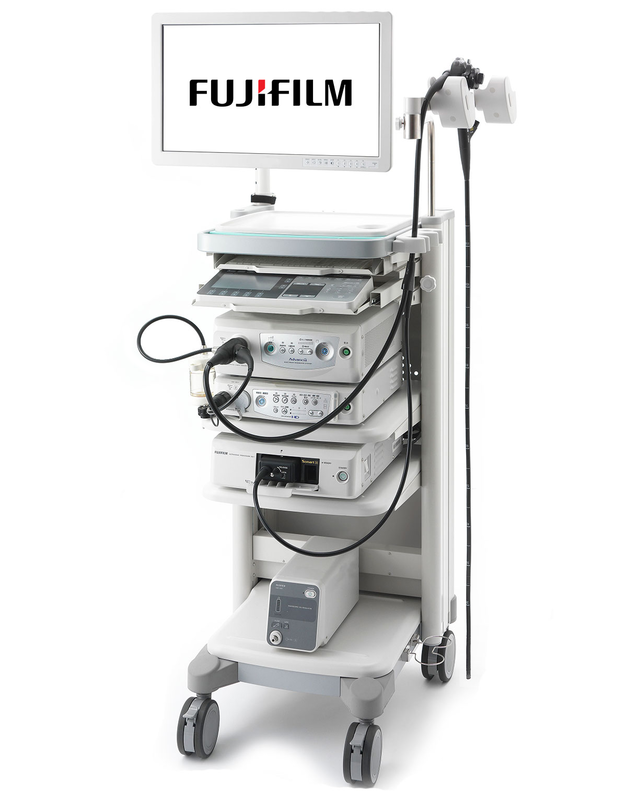 State-of-the-art Electronic Video Endoscopy and Endoscopic Ultrasonography Fujifilm is known as the world’s largest photographic and imaging company and is pioneering in diagnos0c imaging and informa0on system for health-care facilities. 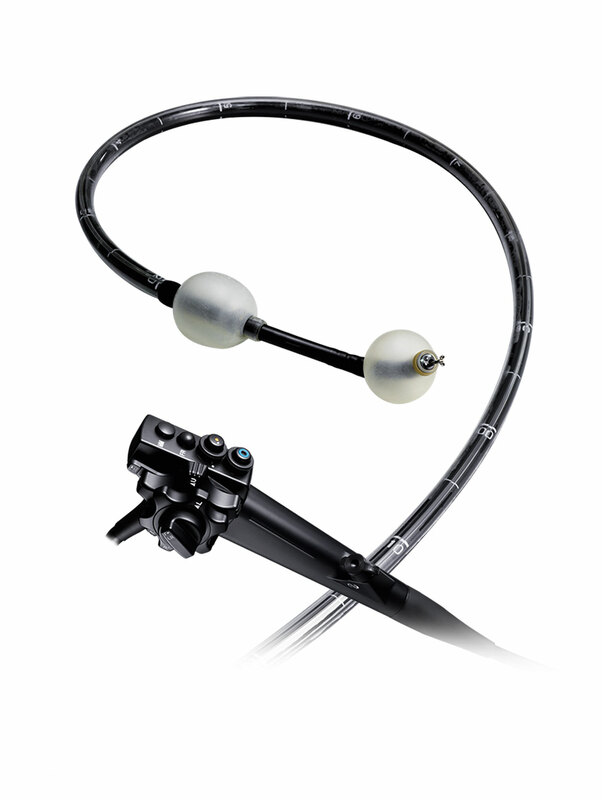 The current endoscopic equipment provides high-definition video endoscopy and endoscopic ultrasound for Gastroenterologists and Pulmonologists. The actual range of endoscopes and the EPX-­‐4450HD processor technology come with FICE and DICOM on-board. The Fujifilm high definition system represents the standard in digital endoscopy – in terms of both technology and cost-efficiency. 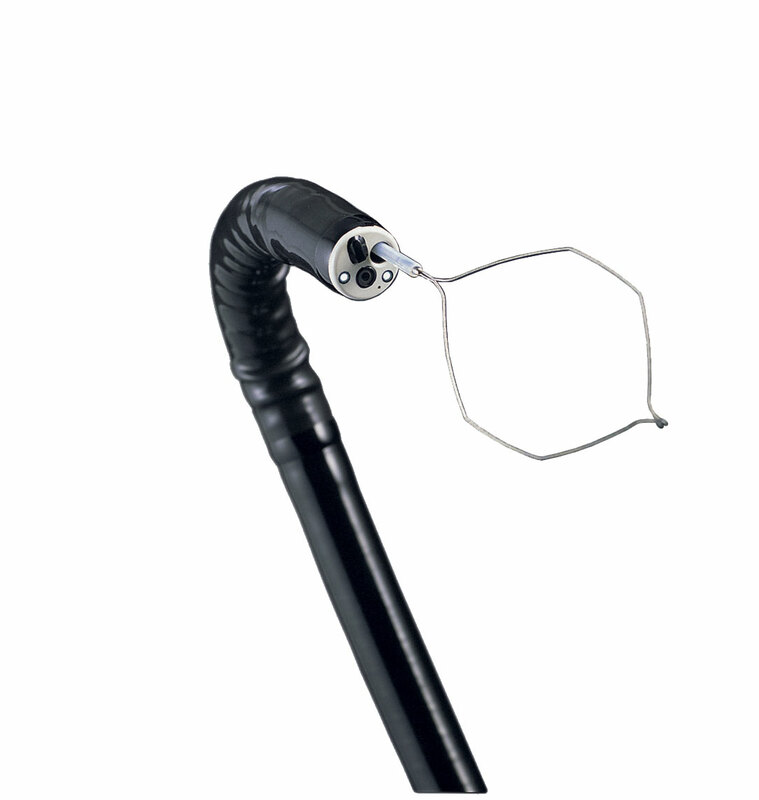 It enables us to provide you with endoscopy equipment that is more affordable than ever before. At the heart of the system is the EPX-2500 video processor, which delivers images in high defini0on without loss in quality. The 530F endoscope stands out for its natural colour reproduc0on and Super-­‐CCD chip, which guarantees excellent image quality. Fujifilm is redefining HDTV in endoscopy . The focus is on the new EPX-4450HD video processor. Perfectly adapted thereupon are the 590 series Super-CCD endoscopes and the 23″ monitor with genuine HDTV resolu0on. Welcome to the era of premium HDTV endoscopy. Smart Bend provides excellent maneuverability by 210 degree up angulation, smaller bending radius and shorter rigid part. Smart Bend features allow precise manipulation, enabling observation and treatment of areas usually difficult to approach, like overlapping or folded parts. Thus, the great bending ability helps a wide range of procedures including screening, diagnosis and treatment such as EMR and ESD to be carried out efficiently. The flexibility of the insertion portion gradually increases toward the distal end. Gradual stiffness level is adjusted as comfortable for insertion. The modified gradual stiffness produce the softer distal end and harder operating side compared to previous type (ColoAssist) . It is possible to transmit the insertion power to the tip of scope more efficiency. 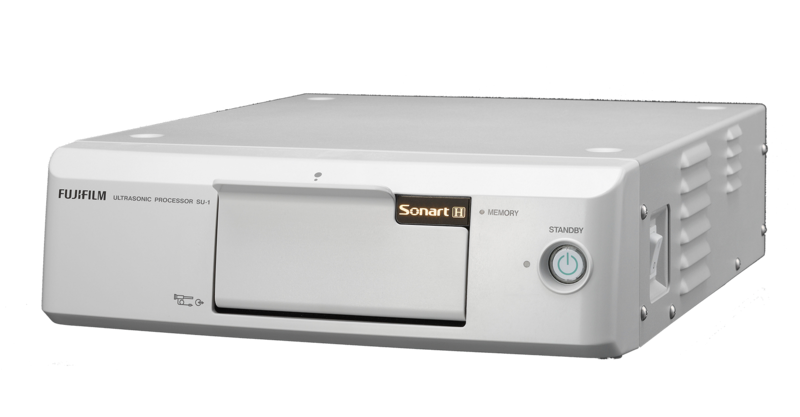 with high-resolution B-mode and various imaging modes are incorporated in this compact system to support precise diagnosis. The new Fuji-­lm ultrasonography processor SU-­1 is equipped with proprietary image processing technology in a compact body wit the aim of supporting accurate diagnoses with a variety of imaging modes including high-­resolution B-­mode. High performance signal processing thanks to newly developed MPU(Micro processing unit). Sharp and less noise image thanks to Fujifilm original high performance image processing. Various imaging modes like Contrast Harmonic Imaging, Elastography and sound speed correction. High-­resolution B-­mode imaging: With a new ultrasonic wave transmission and reception design, the SU-­1 realizes high-resolution B-­mode images with the aim of enabling more accurate and efficient ultrasonography diagnoses. agents, assisting in the detection of tumors and abnormal growths. Elastography: Relative stiffness of the tissue is visualized as a color distribution map by way of calculating the distortion of the tissue caused by external compression or inner vibration, and displaying disparities in stiffness levels as different colors. In 2004 double-balloon endoscopy (DBE) allowed Fujifilm to turn a long-held dream into reality: the possibility of examining and treating the entire small intestine. The minimal-­invasive examination of the entire small intestine using the double-balloon method is a milestone in the field of endoscopy. 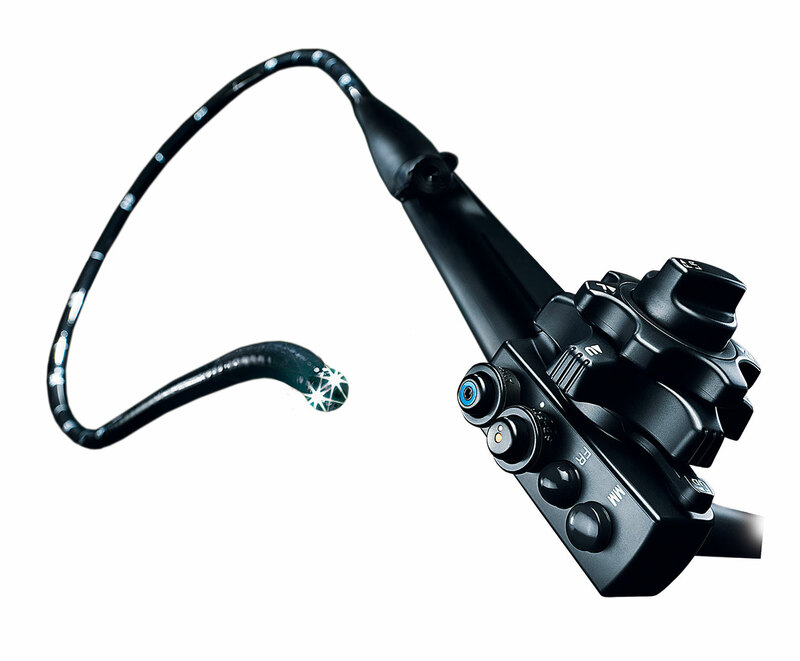 • Unique fully fledged third-­generation technologyThe new EN-580T is now added to Fujifilm’s line-up of double-­balloon endoscopes which has greatly contributed to accurate diagnosis and treatment for diseases of the small intestine. Featuring a range of innovations it meets user’s needs for more accurate and efficient examinations and treatment. • The leading-­edge high resolution endoscopes, equipped with over megapixel customized CMOS image sensor, realize advanced observation and diagnosis. • Close Focus with CMOS Technology enhance image diagnosis. • Megapixel 60P video realize smooth and clear video ability. • CMOS Technology produces advanced FICE image. With the pioneering 4400 endoscopy system, Fujinon is already meeting tomorrow’s standards in endoscopy today. As a plagorm, VISIONARY ENDOSCOPY provides the world’s first fully digital endoscopy system, with a complete network of perfectly coordinated individual components. These optical magnifying endoscopes for the lower GI tract have a water jet function which is effetive for washing off mucus. 135x optical magnification enables you to see an unparalleled level of detail. Additionally, these two models stand out for their broad working channels of 3.8 mm and an exterior diameter of only 12.8mm. This high-definition endoscope offers everything you need for standard procedures: a large angle of view across the entire horizontal image section, a broad working channel with a diameter of 3.8 mm and a water jet for partial cleaning of the intestinal tract. With the new 530 bronchoscopes, Fujifilm has surpassed even its own highest demands. 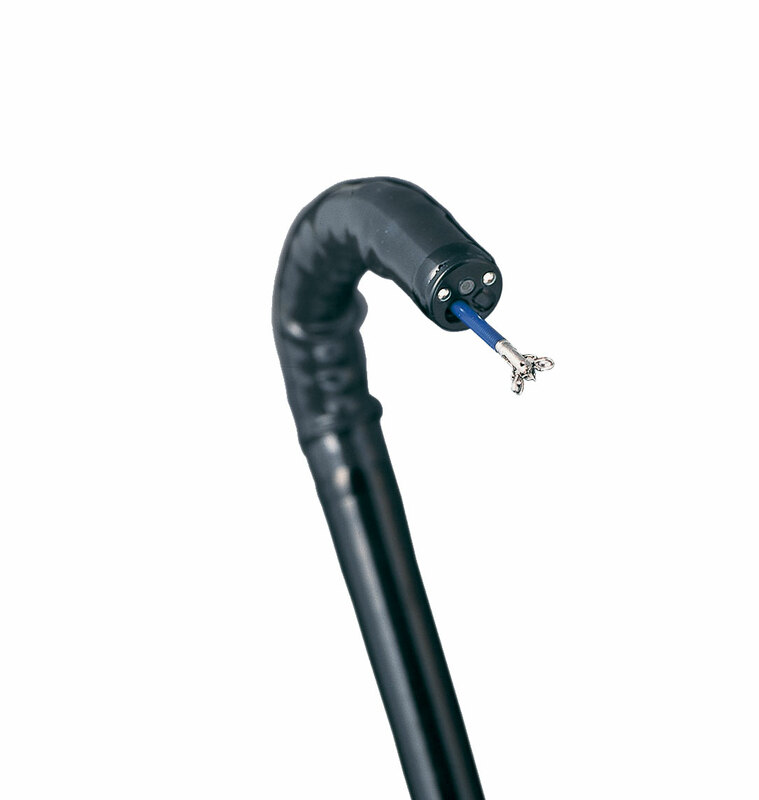 These bronchoscopes achieve excellent image quality by using a unique Super-CCD chip and assure an extremely comfortable operation in the examination. 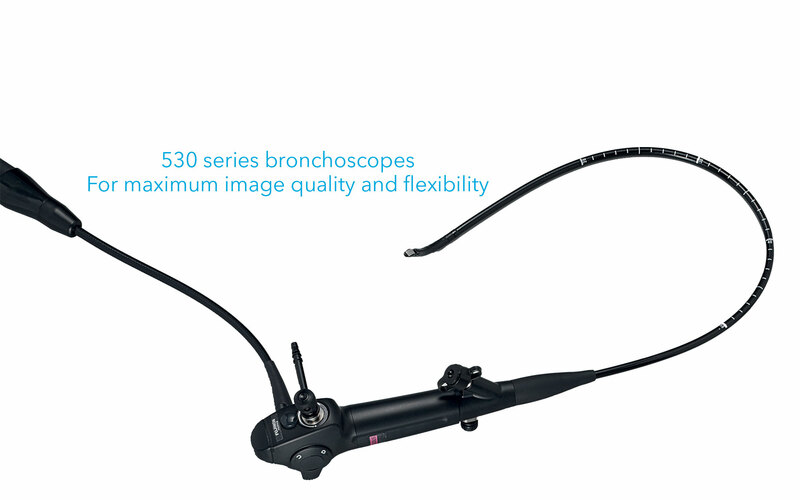 With just five models, the 530 series of bronchoscopes offers the perfect solution for every application.